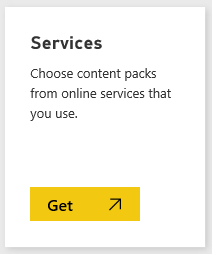 Connect to the Project Online content pack for Power BI. 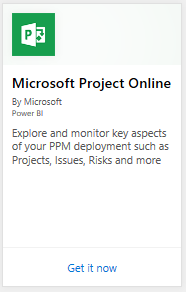 Select Microsoft Project Online > Get. 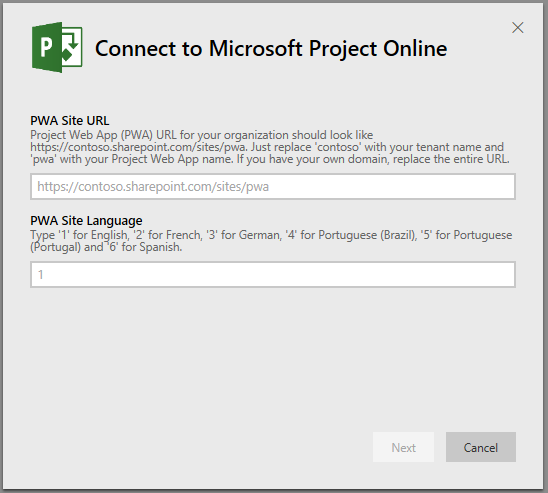 In the Project Web App URL text box, enter the URL for the Project Web Add (PWA) you want to connect to and hit Next. Note this may differ from the example if you have a custom domain. In the PWA Site Language text box, type the number that corresponds to your PWA site language. Type the single digit '1' for English, '2' for French, '3' for German, '4' for Portuguese (Brazil), '5' for Portuguese (Portugal) and '6' for Spanish. For Authentication Method, select oAuth2 > Sign In. 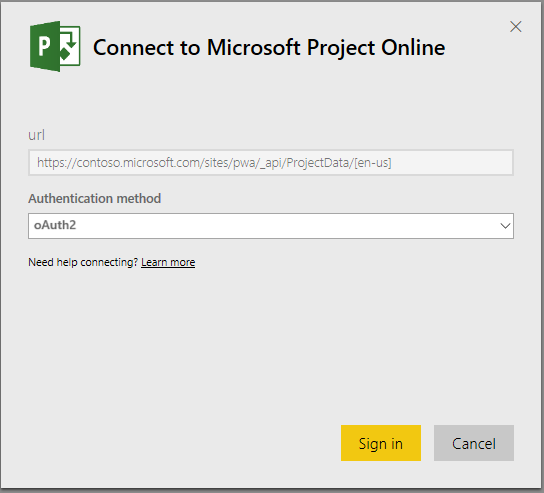 When prompted, enter your Project Online credentials and follow the authentication process. 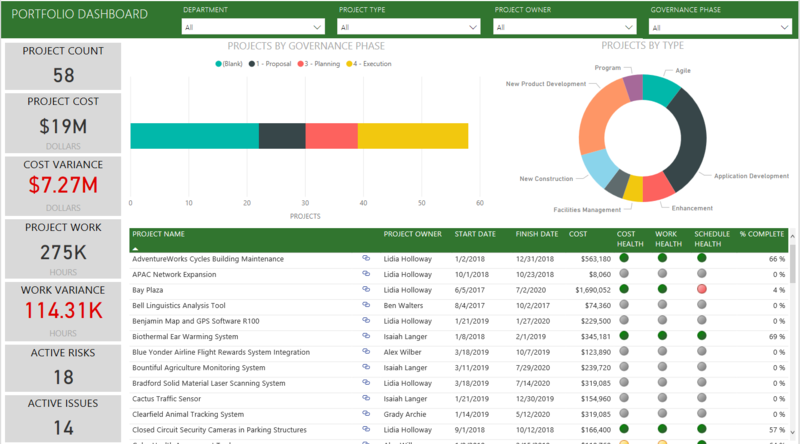 Note that you need to have Portfolio Viewer, Portfolio Manager or Administrator permissions for the Project Web App you are connecting to. You’ll see a notification indicating your data is loading. Depending on the size of your account this may take some time. 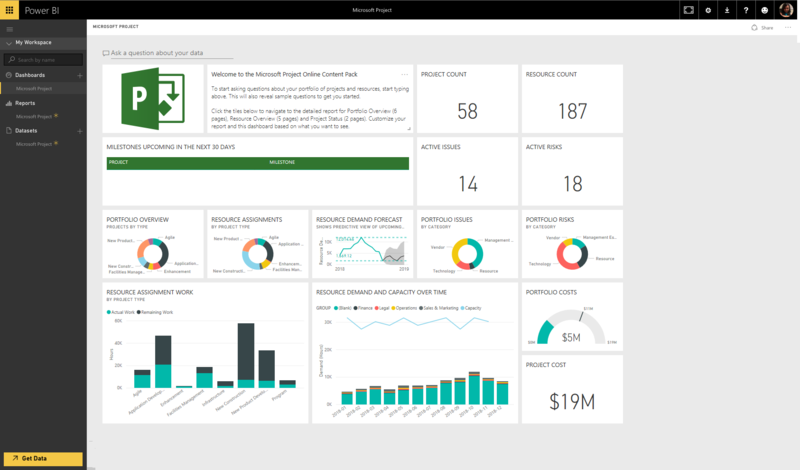 After Power BI imports the data you will see a new dashboard, 13 reports, and dataset in the left navigation pane. 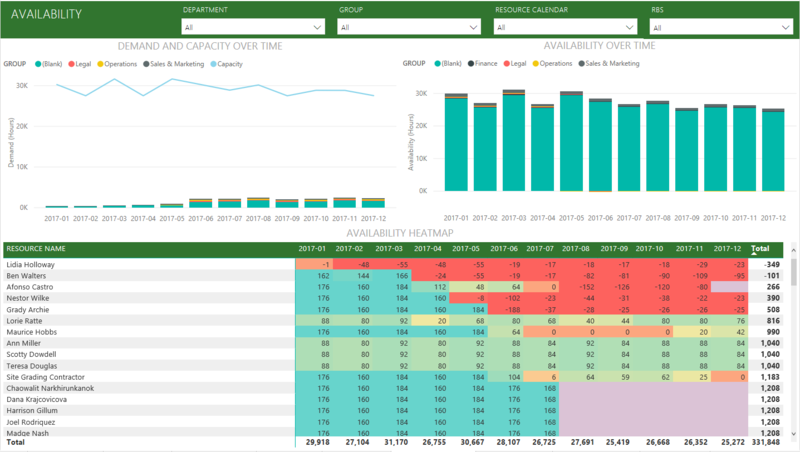 This is the default dashboard that Power BI created to display your data. You can modify this dashboard to display your data in any way you want. 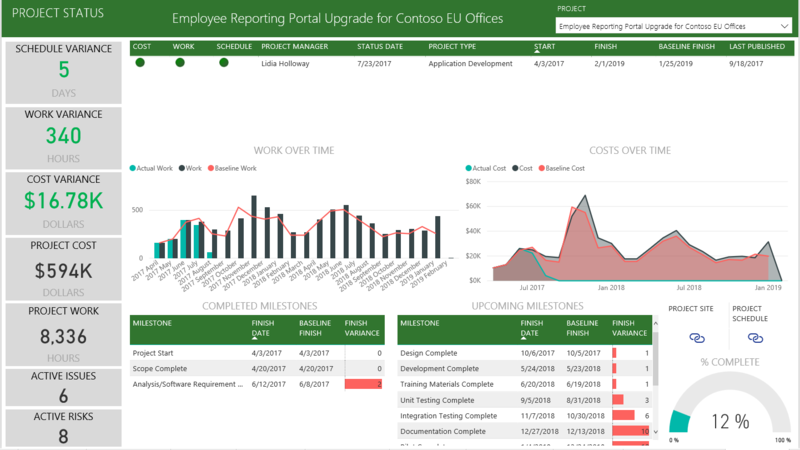 Once your dashboard and reports are ready, go ahead and start exploring your Project Online data! The Content Pack comes with 13 rich and detailed reports for the Portfolio Overview (6 report pages), Resource Overview (5 report pages) and Project Status (2 report pages).